I'm not endorsing any of the candidates for National Party leader. I'm sorry to disappoint, but I've been very fortunate to work with all of those who are either in or are thinking about contesting, and I don't think it'd be appropriate for me to declare a preference one way or the other. While I have my preferences on who I'd like to see, and I have my reckons on who I think will win, what is ultimately more important to me is to see an change in the direction and tone that the National Party takes in the two and a half years leading up to the 2020 election. Being in opposition is hard work. I haven't worked for or been involved with National when they've been in opposition, so I made a point of talking to a lot of people who were there before 2008 to get their thoughts on what National needs to do this term. Positioning yourself as a credible Government in waiting for the next election. Once you get beyond the first term of opposition, those themes narrow down to themes two and three, as typically the Government has, by then, largely undone the policies from your last time on the Treasury benches that they were likely to target anyway. On that note, I've been thinking about how National could have better positioned a couple of recent initiatives to satisfy all three of those themes. These are the "Save our regional highway projects" and the "Protect NZ jobs" campaigns. Broadly speaking, these campaigns largely mirror ideas I shared in my blog "Possible opposition strategies for the 52nd Parliament". The issue I have with both of them is the way they've been framed. While many of the regional highway projects in the petitions enjoy significant local support, people generally mobilise best when it comes to saving whales, or other endangered species, "saving" a road that hasn't been built is a hard concept to sell. 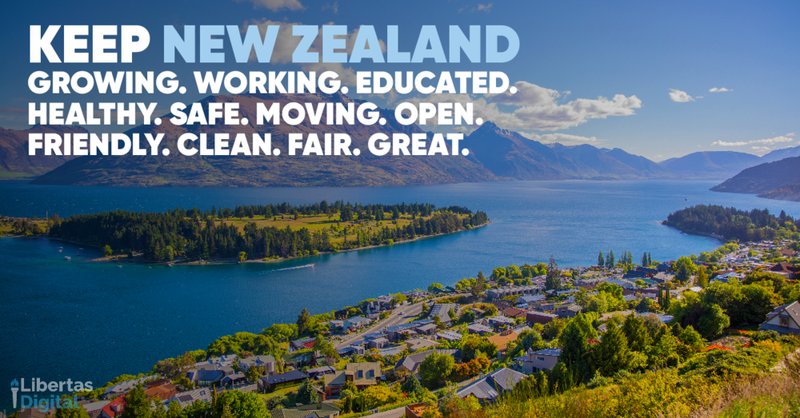 Likewise, "Protect NZ jobs" feels to me more like a title Labour would have given to a campaign against a free trade agreement or to introduce tariffs or other Fortress New Zealand economic policies from the 1970s. To be fair, I didn't really address this when I did my original blog. Possibly I should have if the ideas I'm writing here are being picked up and run with, though I can't give away all my good ideas for free! (hint hint - call me!). A simple change in the framing of them could have created a much better impression. "Save our regional highway projects" should have been named "Keep New Zealand moving", while "Project NZ jobs" should have been "Keep New Zealand working". You still have the same general purpose of the campaigns, but the emphasis is changed. The framing of the campaigns isn't any longer seemingly about preserving some sort of Key/English status quo of policy. Rather you have the broader, and much easier to sell, message that National is all about keeping New Zealand growing and moving forward to make it a better place to live, work, and raise a family, all the while as framing Labour as wanting to put the brakes on that progress. The words "Save" and "Protect" are useful from an emotive sense, but you have to have a genuinely emotive issue to get people engaged if you're going to use them. The ultimate end game might be to save a roading project that's under threat, but the message you want to tell voters is that you're working hard so that their roads, and therefore local economy, keeps growing and moving forward. I think this is at the heart of putting National in the best position to win in 2020 regardless of whoever is leader. You have to find a way to not only combine those three themes of defend, hold to account, and Government in waiting, in nearly everything you do, but also have them all flow towards that third point of being the next Government. It's something that has to be reflected in all National's messaging, it's policies, and how its Leader and MPs conduct themselves. They need to be the party that has a vision to keep New Zealand growing, moving, working, healthy, happy, safe, and so on. It's an concept that will require a lot of policy rework, some bold and innovative ideas that steal a march on Labour's claim to be the future focused party. And ultimately, it'll mean that the above graphic of "Keep New Zealand moving" will need to have some trains, buses, and maybe even light rail in it too, and not just roads. And before you jump all over me about design aesthetics, I've literally just whipped those up from my sickbed with a grumpy toddler in the house. So I won't claim it's my best work, just a starter for 10.